Our class includes the wonderful children in Year 4, Year 5 and Year 6. We are an enthusiastic and creative class. We love to create and innovate together. As the oldest children in the school, it is our responsibility to set a good example for the rest of children in the school. We are playground buddies and we strive to be ambassadors of the school's values. Class 3 have a GROWTH MINDSET! In Class 3, we have also been encouraging each other to consider each piece of work as a working progress and to always think: 'how can I make this better?' We use Purple Pens of Power to edit and improve our first drafts and the children are becoming really good at reflecting on what they have done well and need to improve on. Developing the children's mindset is really help create a more positive and purposeful working environment in Class 3 and our children are leading the example for the rest of the school. We have decided that we embrace mistakes in our class and prefer taking risks than always staying in out comfort zone when we are learning. I am very proud of how much the children are adapting their mindsets and will update this section with examples of great growth mindset soon! 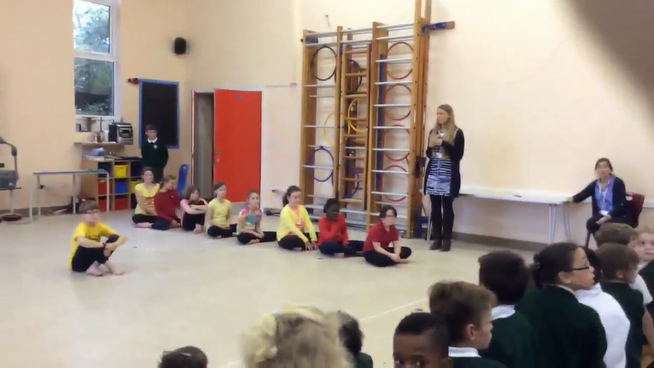 The children in Class 3 helped to choreograph this fantastic dance to one of the songs from the musical 'The Lion KIng'. Here is a video of their performance.